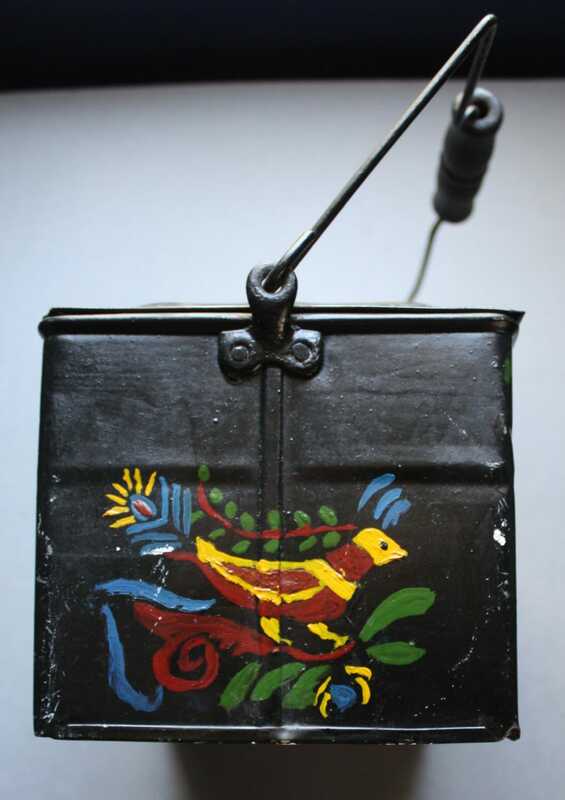 This antique metal hand-painted toleware box was more than likely a tobacco box to begin with before it was painted and used for something else, possibly to carry lunch. The colors are traditionally Pennsylvania Dutch as are the figures in the second photograph; however, the fruits shown in the first photo branch out in terms of color. Please note the slight loss of paint in photo two to the right of the bird. Also, the lid has some wear along the decorative molding along with what appears to be a slight dent directly below the heart. The inside of the box is painted blue. 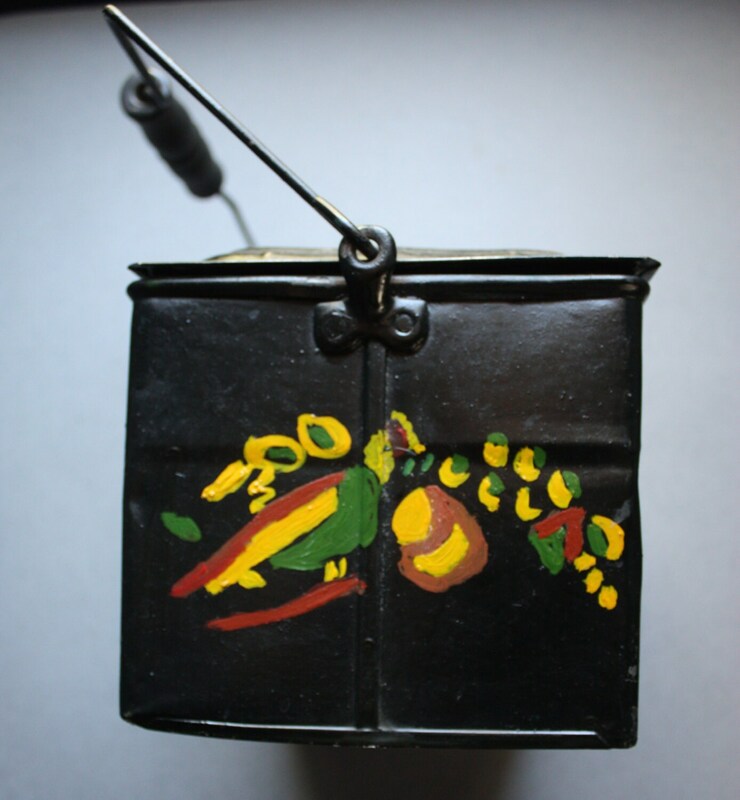 The handle appears to be comprised of metal and painted wood. 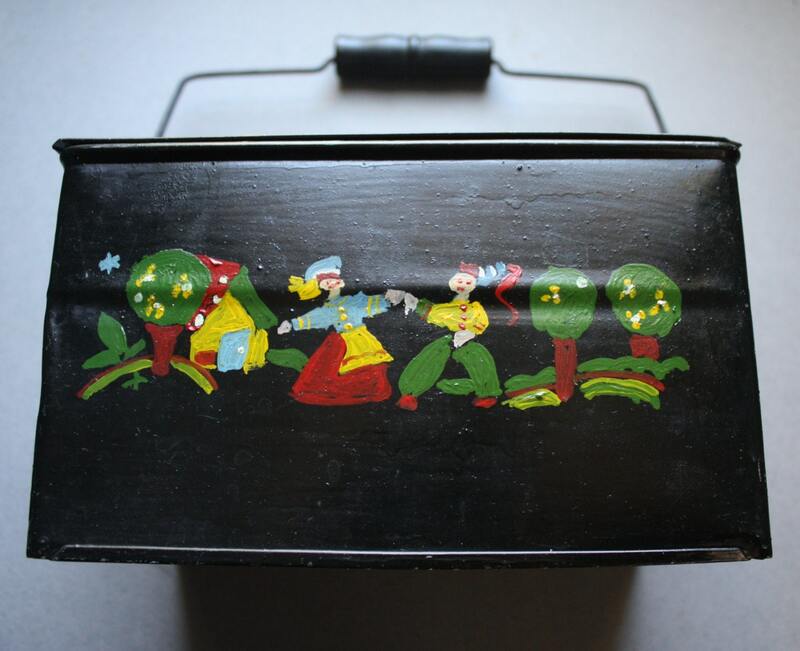 http://www.smithsonianmag.com/arts-culture/the-history-of-the-lunch-box-98329938/?no-ist provides an interesting piece on the history of lunch boxes, and a similar box like the one listed here can be found in one of the photos accompanying the article. 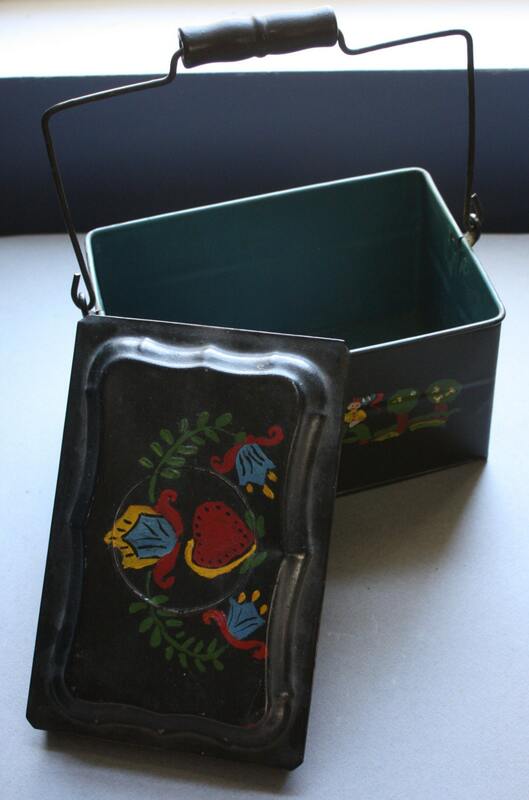 The lid measures approximately 8" across x almost 5.50", measuring to the edge. 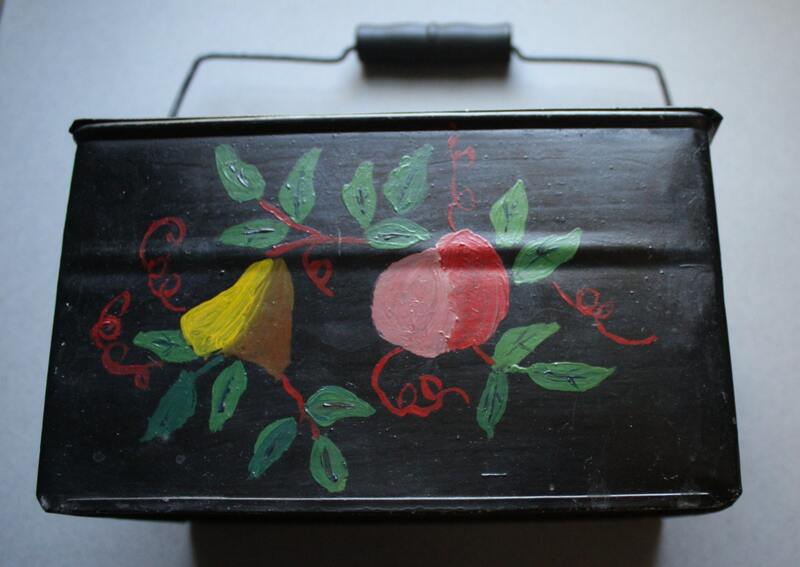 The tin itself without the lid is 8" x 5.50". Depth is 4.50". Any difference that you've overpaid of $1.00 or more with respect to shipping fees will be refunded to you upon shipment of your antique box. Your box will be shipped insured.